Another icon gone. David Bowie&apos;s widow, Iman, was one of the many stars to pay tribute to Prince following the news of his death on Thursday, April 21. "RIP Prince!" the former supermodel, 60, captioned a throwback photo of the Purple One via Instagram. "Condolences to his family, friends and fans #ripprince." Prince isn&apos;t the only legendary musician the world has lost this year. Back in January, Bowie died at the age of 69 from liver cancer. 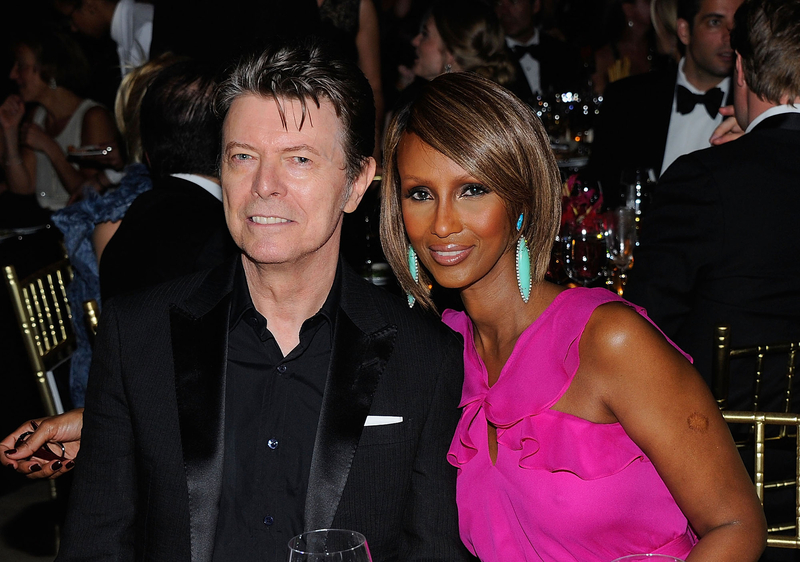 The late "Space Oddity" singer and Iman tied the knot in 1992 and welcomed daughter Lexi in 2000. "Iman is torn apart," an insider told Us Weekly at the time. A close pal of the fashion icon added: "What he loved most about Iman was how brave she is." Prince broke out into the music industry more than a decade after Bowie did. Last month, Prince paid tribute to his fellow artist by covering his 1977 song "Heroes" during a Toronto performance at the Sony Centre for the Performing Arts. Oddly enough, Prince and Bowie also used the same tailor. Manu Melwani opened up about working with Prince, during an interview with Time magazine on Thursday. The two met 13 years ago and worked together before Prince&apos;s Hong Kong tour stop in 2003. "He was very skinny … spoke very little," Melwani recalled. "I just lost [another] good friend of mine," he added. "David Bowie."